If you’ve ever even so much as typed “buying a home” into a search engine, one of the first things you will see is talk about a 20 percent down payment. This leads many people to believe they will never be able to save up enough to afford a home of their own and that they are stuck renting. The 20 percent down payment rule was established in order to protect lenders if a homeowner were to stop making payments. It was agreed that as long as the lender had 20 percent of the home’s value already, they would have enough equity in the property to cover the loan balance in case of a foreclosure sale. This rule mostly applies to conventional loans. A conventional loan just means that the loan is not tied to a specific government program. These loans tend to have more restrictive lending requirements- such as putting 20 percent down. However, it is still possible to get a conventional loan without paying 20 percent upfront. This is where Private Mortgage Insurance, or PMI, comes in. PMI is typically paid as a monthly premium that is added to your mortgage payment. The funds accumulated from these payments will be used to protect the lender if you ever stop making your mortgage payments. Another way to avoid putting 20 percent down on a home is use a loan program that offers down payment assistance. FHA loans were launched in 1934 and have been very popular with buyers ever since. They require just 3.5 percent down and have lower credit score standards than conventional loans. Supreme Lending’s Supreme Dream2 provides 3.5% of a home’s purchase price in the form of a forgivable second mortgage or mortgage paid over the next 30 years. The grant is forgiven3 after 36 on-time payments if your income is less than or equal to 115% of the median income in your area. If you income is more than 115% of the median income in your area, the second mortgage for the down payment is at five percent interest rate if paid over 30 years. VA loans were introduced as a way to reward those who’ve served our country through the military. These loans can sometimes be obtained with no down payment. You must have served in the Armed Forces, or have been a member of the National Guard or Reserves. In certain cases, spouses of deceased veterans are also allowed to apply for a VA loan. These low interest, low down payment loans were introduced as incentives for people to move into rural areas. USDA loans are usually available in towns with a population of 25,000 or less and can provide up to 100% financing. This special program is available to teachers, faculty coaches, librarians, and more! It offers discounted closing costs1, discounted real estate agent fees2, and a donation to your school3. Click here for more information and to get started! Most states have multiple homebuyer-assistance programs. Check with your state or local housing groups, or give us a call for more information. If your goal is still to put a 20 percent down payment on a home but don’t have that kind of cash in your bank account, there are other sources of funding available. 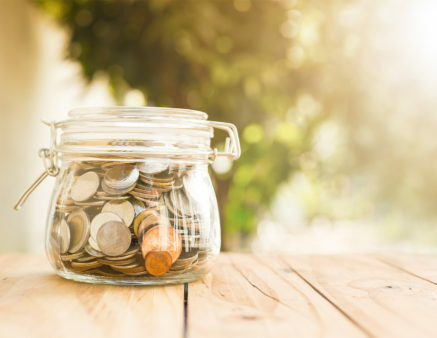 Inheritance, gift funds from a family member, sale of stock bonds, or even crowd funding can all be used as methods to save up the 20 percent. A mortgage is typically the largest loan people will take out in their lives and it’s vital to work with a knowledgeable, experienced, and caring lender to ensure you choose the option that is best for you. Give us a call at 303.242.5222 to get started on the path to homeownership! 4 The Educator Mortgage Program through Supreme Lending entitles the borrower to a closing cost credit equal to .20% of the funded loan amount up to the lesser of $800 or total closing cost amount. The credit applies to all loan products other than Bond Programs, which are not eligible under the Educator Mortgage Program. The lender credit will be reflected on the Closing Disclosure. No part of Lender Credit can apply to or offset down payment. Special incentive program subject to change without notice. This offer not valid with any other incentives or discounts. 5 The Educator Mortgage Program through Supreme Lending entitles the eligible home buyer and/or seller to a credit against real estate fees equal to .20% of the loan amount up to a maximum of $800. Subject to Real Estate Agent participation. Supreme Lending will make best efforts to identify a participating Real Estate Agent but does not guarantee Real Estate Agent participation. In the case of no Real Estate Agent participation the home buyer or seller will not receive the discounted Real Estate Agent fees. See eligibility requirements listed above for qualifying buyer, seller and borrower. 6 The Educator Mortgage Program through Supreme Lending also entitles the borrower to obtain a donation from Supreme Lending to their preferred school program equal to .05% of the loan amount, up to a maximum of $200. The donation is available on all loan products other than Bond Programs which are not eligible under the Educator Mortgage Program. The donation will be made directly to the school.